With ProCharger technology, reliably adding big horsepower to your engine is a lot easier than you may think. Intercooled ProCharger systems utilize exclusive features and proven technology to deliver reliable 50-85% gains in horsepower and torque with stock motors running pump gas. ProCharger technology is proven to produce the industry's largest power gains and coolest charge air temperatures, and ATI is also the only company that guarantees the best performance gains. Nothing else even comes close! For modified street applications, ProCharger technology delivers 10-second ET's with the least amount of engine modifications - and with the supercharger still under warranty. 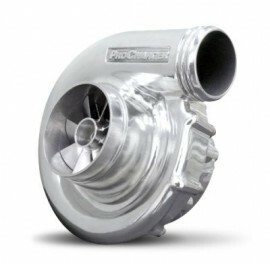 For highly modified applications, ProCharger is the undisputed leader, and is over 800 horsepower ahead of the competition. Superior products yield superior results.